Standard UK layout Wireless Keyboard and USB Nano Dongle. 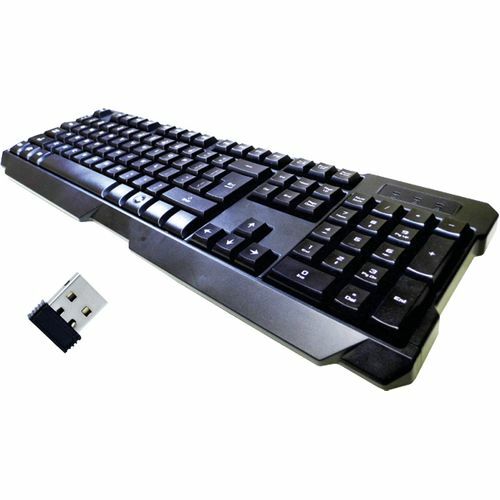 105- keys standard Wireless Keyboard with Nano Dongle. Comfortable fingertip touch keyboard ideal for Education, Office or Home use. Life expectancy: 10,000,000 cycles approx. UV oil printed key markings, to prevent wearing away with continued use.